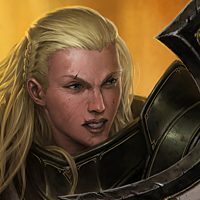 Forums PTR Feedback The change we really need! The change we really need! 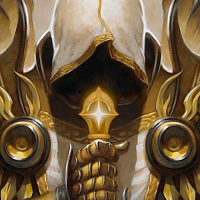 i played a lot of diablo and usually love it. But you cant really test any Builds if People got 5000 paragons up on you. Im really sick of that, why cant you change it? The endless Paragon grind feels awful, if you dont grind enough you cant compete (seasonal aswell). Most of us People just dont got time to grind paragons 8hours a day (season example). Also dont like that you have to rely on group play to compete in solo Leaderboards. Isnt it time to make some changes in that direction? I mean i almost see the same people at the top every season. Just cap legendary gems at level 100 (or less for some gems), so we all will have actually goals we want to archive in a session. It was frustrating heading into the Ptr checking Leaderboards and see these Paragon Levels, i wanted to test some nice builds but with a gap of 20000 main stat (and more) there is just no reason because there is no build that can close this gap. And the same goes for gems i cant push gems to 150~ on my own, and im pretty sure the majority cant aswell. So in order to make d3 competitive again these are things you really have to change, friends i used to play with dont want to come back, because all they see is the endless stupid grind which established in season 2 and was getting worse season after season. Do you guys remember season 1? It was such fun competing in leaderboards and not care about Paragon and gem level. You aren't asking for a competition, you're asking for equality of outcome. That's the exact opposite of competition. No amount of 'fairness' is ever good enough for people like you, which is why your ilk suggests capping everything and making an already restrictive game more restrictive. If you actually cared about leaderboards you'd play the game. Like the rest of us that do or have. Paragon capped at Lv10,000 from what I heard, so it is not endless grinding. no im basically asking for changes that dont force people to use a bot or do endless greater rift paragon grind. And giving People that play in group such hugh advantage in a game that usually is known for great solo play cant be right. The xp change a while ago was a good change. Isnt it enough that groups do stuff (either bounties/gr or whatever) much faster? You also getting forced to play in grp if you want to push leaderboards because you cant make up 20 gem levels with "skill" or extraordinary builds. Thats why people stop to play or only play first few days or 2-3weeks of a season. You also getting forced to play in grp if you want to push leaderboards because you cant make up 20 gem levels with "skill" or extraordinary builds. Thats why people stop to play or only play first few days or 2-3weeks of a season. I am pretty sure most people have their own reason for stopping after 2-3 weeks of a new season. You're projecting what YOU feel onto other people. The reason MY friends come back every season is to enjoy the fresh-start and grind up to the season journey. It takes them 1-2 weeks, sometimes a little longer. Once that goal is accomplished they stop playing. Wait... that does fit into your narrative of why people quit at all. Back to the drawing board! no im basically asking for changes that dont force people to use a bot or do endless greater rift paragon grind. And giving People that play in group such hugh advantage in a game that usually is known for great solo play cant be right. You obviously don't know what the word force means. Nobody is "forcing" you to do anything. I don't have a group of 3 friends who regularly likes to ladder push. We just do what we do, get as far as we can, and when we hit our wall we stop when it ceases to be fun. 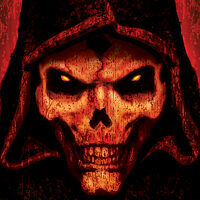 Diablo is not a multiplayer or solo game, it's both. 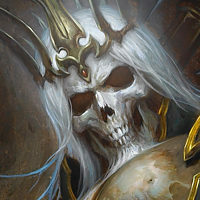 just bring luck back into diablo so people that dont have endless time to play ( and i think the diablo base from d1 and 2 has become a little bit older and many that play this game have a job and kids or something like that) have atleast the change to achieve something somebody whos playing lot more has not. i stopped long ago to fight for the leaderboard. i simply dont have the time to earn that much paragorn levels and im not mad because of it. This game doesn't work without endless progression. All it would achiev is a bunch of people stuck in the same GR level and making the few who still play this crap not play anymore because there's no reason to push if you hit your limit. I think part of the issue is though this game has competition, it's purely a competition of who has the most time. To some degree though, if you want to be competitive in an ARPG, time is really the only meaningful factor. To expect otherwise may be unrealistic. to be honest paragon should be caped at 800. but people will whine and groan that they dont have an edge cuz everyone is para 800 and can pull the same greater rift clear that people who used to spend hundred of hours getting 2k paragon used to get. but to be even more honest at least the casuals cant complain that people are pra 2.4k and they cant compete at least this way they COULD compete if they put a little extra time in.